On January 16, 1913, a letter revealed a genius of mathematics. The missive came from Madras, a city – now known as Chennai – located in the south of India. The sender was a young 26-year-old clerk at the customs port, with a salary of £20 a year, enclosing nine sheets of formulas, incomprehensible at first sight. “Dear Sir, I have no University education but I have undergone the ordinary school course. I have made special investigation of divergent series in general and the results I get are termed by the local mathematicians as startling,” began the writing signed by S. Ramanujan. A century later, the legacy of this Indian genius continues to influence mathematics, physics or computation. This statement resulted in the journey of Srinivasa Ramanujan (1887-1920) to Cambridge, where Hardy invited him to move in order to try to unravel the secret of this self-taught genius. 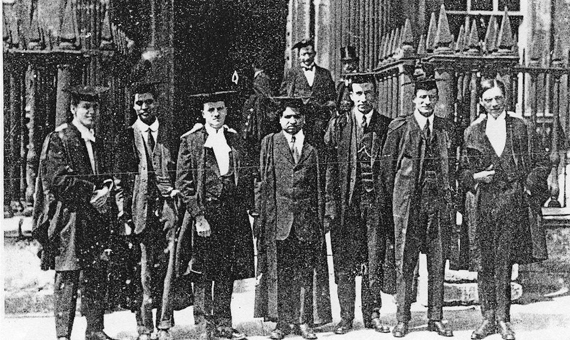 Ramanujan arrived at Trinity College that same spring of 1913 at a time when colonialism was still justified on the basis of inferior races, a conviction that the extraordinary capacity of the Indian showed to be nonsense. 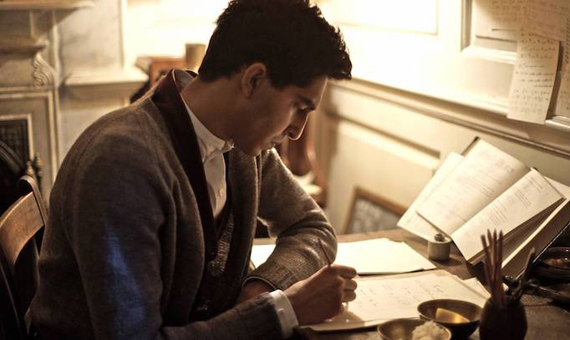 However, during his nearly six years in Britain, Ramanujan had to endure the racism and contempt of English society. Ramanujan is the icon of mathematical intuition. His case is a spectacular example of how mathematical language is inscribed in the brains of all human beings. In the same way that Mozart visualized music, this young Indian had the ability to sprout mathematical formulas with which he tried to explain the world. 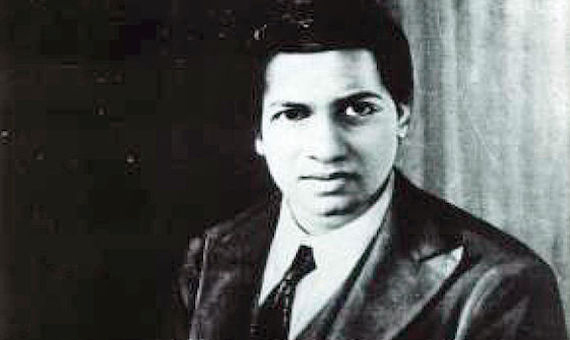 Coming from a poor family, Ramanujan formulated his first theorems at age 13, and by the age of 23 he was already a recognized local figure in the Indian mathematical community, even though he had no college education. He had been rejected twice in the entrance exam for leaving unanswered all those questions that were not related to mathematics. However, this event did not stop him from continuing his training, which from 1906 became strictly self-taught. In this period, Ramanujan had a great obsession that would follow him until the end of his days: the number pi. From his hand came hundreds of different ways of calculating approximate values ​​of pi. In just the two notebooks he wrote before arriving at Cambridge are found 400 pages of formulas and theorems. Thanks to the theoretical foundations that Ramanujan laid a century ago, powerful computers have calculated the first 10 trillion decimals of the number pi. Going further is considered a test of fire in the world of computing. Ramanujan’s method: intuitive and without formal demonstrations, clashed with the form of scientific work that demanded that the result be replicable, that is, that another mathematician could follow the approach. The mathematician used to claim that it was the protective goddess of his family, Namagiri, who showed him in dreams the equations of his formulas. In spite of the peculiarities in his way of working, his results and the support that Hardy always gave him took him to the Royal Society and he became a member of the faculty of Trinity College. However, he was not able to enjoy much of these honours. Ramanujan, who had very fragile health throughout his life, contracted tuberculosis and was confined to a sanatorium in 1918. A year later he returned to his homeland, where he died in the following months aged only 32 years. This early death prevented him from completing the full proofs of his notes. His legacy, which has recently been portrayed by Hollywood in the film The Man Who Knew Infinity, goes beyond its exoticism and is a pillar of modern number theory.